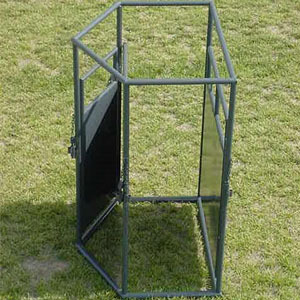 Linn Post & Pipe Supply Alleyways feature the fastest adjustment available. 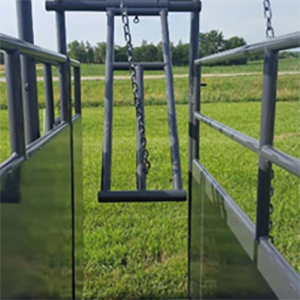 The single lever adjustment will allow you to go from 30″ wide down to 18″ with the pull of a lever and the ability to adjust in 2″ increments. 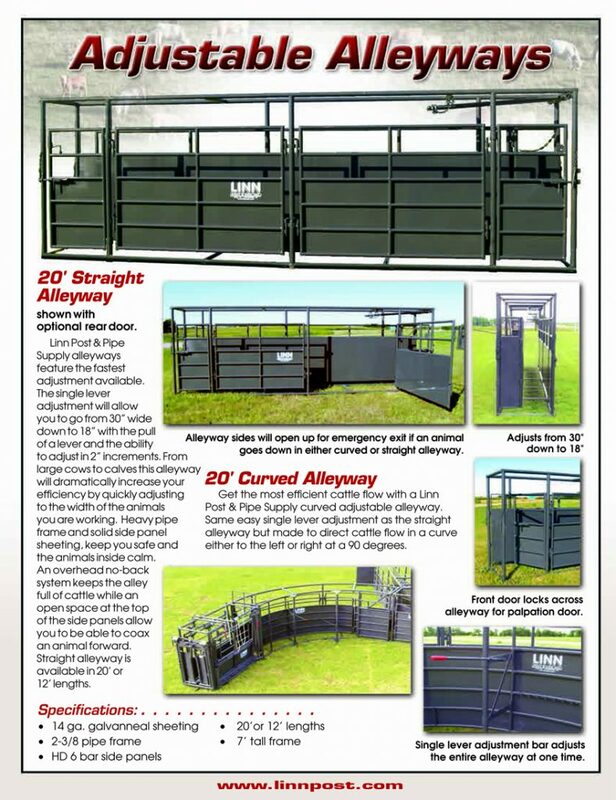 From large cows to calves this alleyway will dramatically increase your efficiency by quickly adjusting to the width of the animals you are working with. 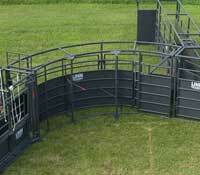 Curved alleys easily adjust from 30″ to 18″ with one lever and can be made to curve to the left or to the right. 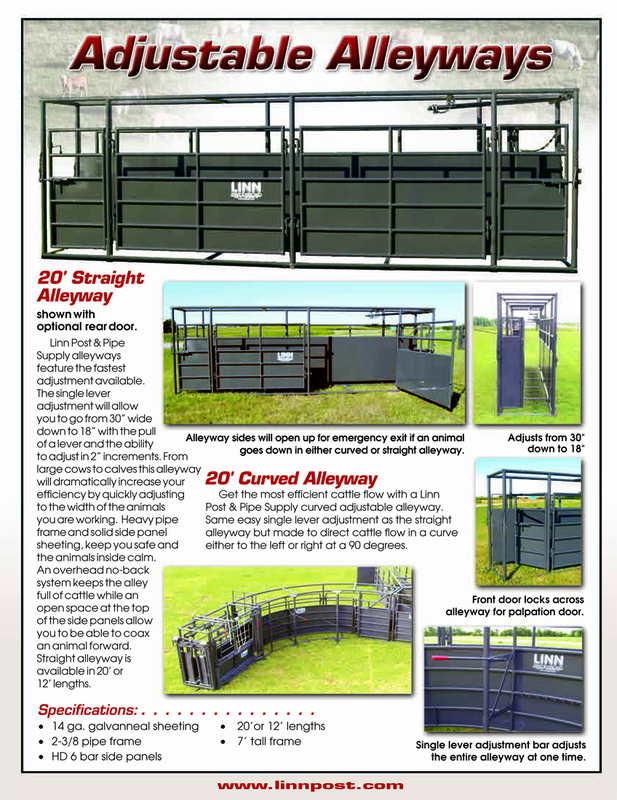 One no-back is included and palpation door and rear tub access doors are built into the frame. 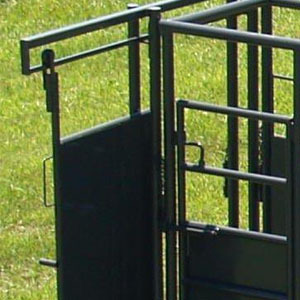 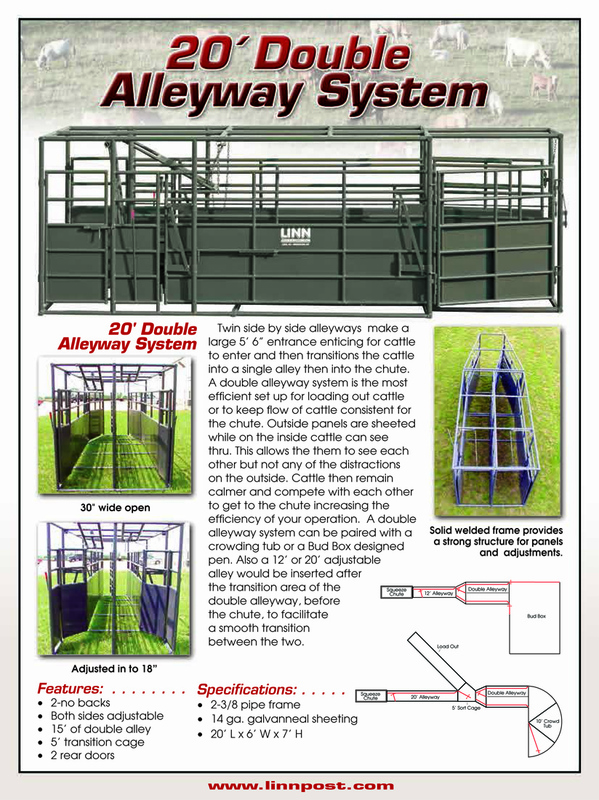 Twin side by side alleyways make a large 5′ 6″ entrance enticing for cattle to enter and then transitions the cattle into a single alley then into the chute. 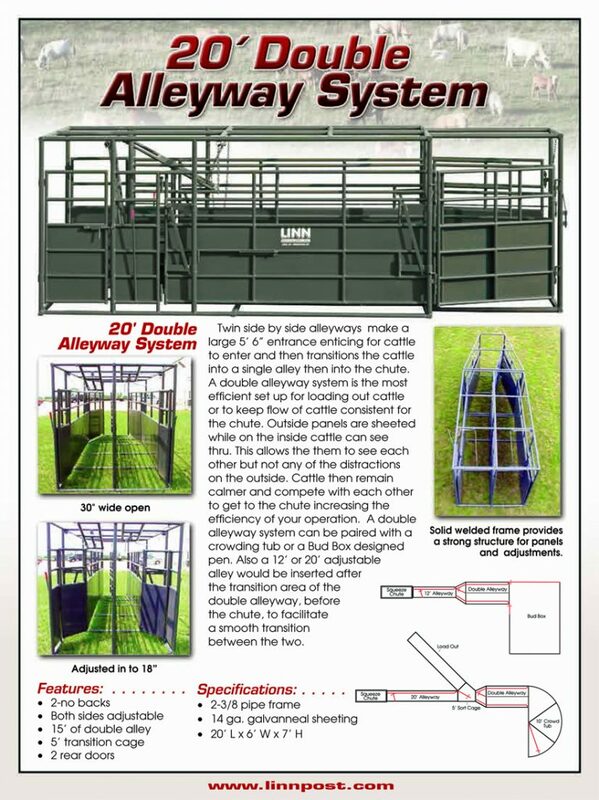 A double alleyway system is the most efficient set up for loading out cattle or to keep flow of cattle consistent for the chute.